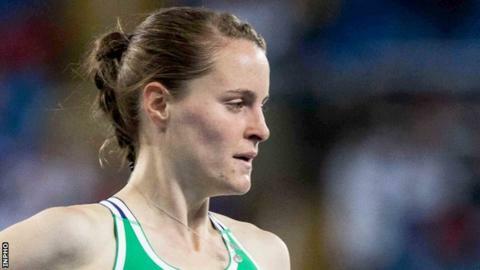 Ciara Mageean moved to second on the Irish all-time list for the women's mile after improving her personal best to 4:22.40 in London on Sunday. Mageean's time cut six seconds off her previous mile best and Northern Ireland record set indoors last year. Sonia O'Sullivan set her Irish mile record of 4:17.25 in Oslo in 1994. Mageean finished seventh in Sunday's race at the London Anniversary Games where Kenya's Helen Obiri defeated Britain's Laura Muir. Obiri won in 4:16.56 as Muir (4:18.03) missed out on breaking Zola Budd's 32-year-old British record of 4:17.57. Kenya's Winny Chebet, Poland's European 1500m champion Angelika Cichocka, American Jenny Simpson and Britain's Laura Weightman also finished ahead of Mageean although the athletes behind her included British pair Steph Twell and world championship qualifier Jessica Judd. Meanwhile, Leon Reid and paralympic star Jason Smyth helped a Northern Ireland relay quartet set a new Northern Ireland record at the London meeting. With Dean Adams and Christian Robinson also in the team, the Northern Irish men clocked a time of 40.35 which was 0.35 seconds inside the previous record set by John McAdorey, Ian Craig, Mark Allen and Paul Brizzel at the 1998 Commonwealth Games in Kuala Lumpur. But while Sunday's quartet set a new Northern Ireland record, their time was still 0.65 seconds outside Athletics Northern Ireland's Commonwealth Games consideration standard. Meanwhile, Letterkenny athlete Mark English finished 11th in the 800m in London in 1:47.04 in a race won by Botswana's Nijel Amos in 1:43.18. Britons Jake Wightman, Kyle Langford and Andrew Osagie all clocked under 1:46 as they finished in seventh to ninth positions in the race.